Edwin Graning drove a van for the Capital Area Transportation System (CARTS), which serves the public in the communities surrounding Austin, Texas. He is also an ordained minister. He was sent to pick up two women and deliver them to the Planned Parenthood office in Austin. He was “concerned” that the customers were going to Planned Parenthood for an abortion, so he called his supervisor and told her that in good conscience, he could not carry out the job. He was instructed to return to the garage, where he was promptly terminated for this refusal to follow orders. Graning, supported by lawyers from the American Center for Law and Justice, alleged a violation of the Civil Rights Act of 1964. (Goodness, quite a bit of irony in that!) 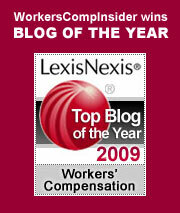 He sued his employer for discrimination based upon religious beliefs. In the lawsuit, he sought reinstatement with backpay, payment for his pain, suffering and emotional distress. Surely, there is no basis in the law for this claim. Surely, Graning is the one who should be sued. Then again, this is the Lone Star state that some would transform into a sovereign nation. Lawyers for CART advised them to settle. Blanco County Commissioner Paul Granberg said that the attorneys “advised the board that it would cost a lot more in attorney fees than it would cost to settle.” So they wrote a check to Graning for $21,000. Is there any such thing as principle in law these days? Did CART’s attorneys even consider doing what is right and just? CART, which did nothing wrong, has changed its hiring procedures, to prevent a recurrence of this ludicrous situation. David Marsh, CART general manager, said officials have begun making it clear when drivers are hired “that we have a job to do and we don’t decide what destinations are.” Boy, that must be a revelation (no pun intended) to people applying for jobs as drivers. Graning has been amply rewarded for his discriminatory and prejudice-laden act. He had no way of knowing why the customers were going to Planned Parenthood, which offers a wide range of health services, by no means limited to abortion. He was represented in this crackpot lawsuit by attorney Thomas Brandon, Junior, of counsel to Whitaker, Chalk, Swindle & Sawyer. Chalk it up as a Swindle, indeed. The Insider scans the world of risk in a risky world. We try to zero in on hazards that might be overlooked in the rush of daily commerce. In that spirit we bring you the distasteful but necessary tale from the New York Times involving bus drivers in New York City, a number of whom have suffered prolonged disability due to the unsanitary habits of riders. Unhappy riders may express their displeasure in any number of ways, including the unfortunate choice of spitting on the bus driver. I am sure we all sympathize with these uniformed public servants who are simply doing their jobs. You cannot please everyone all the time, especially in the Big Apple. It’s what happens after these incidents that is really puzzling. One third of all the assaults that prompted a bus operator to take paid leave in 2009 involved spitting, 51 in all. The MTA defines these “spat upon” incidents as assaults. The 51 drivers who went on paid leave after a spitting incident took, on average, 64 days off work — the equivalent of three months with pay. One driver spent 191 days on paid leave. Mr. Samuelson has given us one of the most compelling definitions of disability I have ever encountered: workers are going to “take off whatever amount of time they are going to take off to recuperate.” It’s not a matter of medically (or psychologically) necessary time away from work, but the amount of time the worker deems necessary. Who needs a doctor when the drivers are empowered to determine the extent of their own disabilities? The MTA is facing a budget shortfall of $400 million. It’s tempting to conclude that tightening up a bit on eligibility for “Post Traumatic Spitting Syndrome” (PTSS – you first read about it here!) might help reduce that deficit. Heck, it might even make the riding public a bit more sympathetic to bus operators. Nancy Shevell, the chairwoman of the transit authority’s bus committee, questions whether three months’ off is a bit excessive. As we peruse the annals disability – mostly real and painful, occasionally trumped up – we do indeed begin to wonder who is in control in New York, just who is driving – in this case, not driving – the bus. Robert Sanchez operated Metrolink trains in the Los Angeles area. By all accounts, he was a personable fellow. You might say, nice to a fault. He occasionally invited young passengers to take control of the train. He stayed in touch with train enthusiasts and friends via texting. Cool! 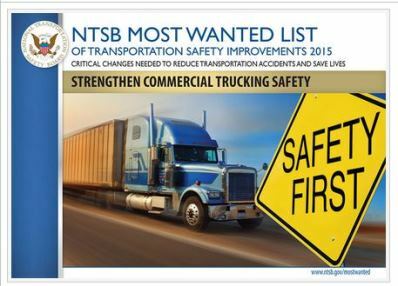 The National Transportation Safety Board (NTSB) has issued its final report. While criticizing the long shifts and the lack of automatic crash controls, the board has placed the blame squarely on the shoulders of the late Mr. Sanchez. Distracted by his texting activity, he failed to notice yellow and red signals, which should have alerted him to trouble ahead. As one board member put it, “his head was not in the game.” That’s an odd but apt metaphor for a tragedy on this scale, with losses totalling about $12 million, not to mention the random destruction of human life. We live in a world where distraction is deeply embedded in our way of life. As the poet T.S. Eliot put it in his poem “Burnt Norton,” we are “distracted from distraction by distraction.” From moment to moment, one thing or another tempts us. Don’t like the music? Change the station. Wondering what a friend is up to? Fire off a text. No need to be bored when there are so many ways to engage our flighty minds. It’s deceptively easy to multi-task your way out of the doldrums. It worked for Sanchez – up to a very specific point in time.